Highlights of four games from the Moorpark Tournament. Birmingham-Golden Valley, Camarillo-Granada Hills, Moorpark-Buena and Royal-North Hollywood are the matchups. Calabasas won 74-66 in OT. Coach Palarz, Nick Justman and Callum Dewar, who scored 12 talk about the unbelievable victory, while Jordan Russell, who scored 17, and Jake Myers, who scored 17 discuss the agony of defeat. Highlights and interviews of the Musketeers’ 27-17 playoff victory. Jake Woolley and Grant Rohach talk about the excitement of advancing as their brothers and friends have done in the past. The Musketeers are preparing for the playoffs with 20 new starters from last season and are battle tested with one of the toughest schedules in the area. The Musketeers have dealt with a tough schedule and 20 new starters, but are still back in the playoffs. It’s the Marmonte League game of the week. Oaks Christian (5-2) comes in looking as good as they could have after a 65-0 victory over Simi Valley, while Moorpark (4-3) is hungry for its first win over one of the upper-echelon Marmonte League teams. The Lions are led by QB Richie Harrington and a whole host of excellent receivers. Defensively, Oaks Christian is led by Ronny Camacho who averages a ridiculous 15 tackles per game. You can expect to see him in the backfield blitzing all night. This will not be an easy mission for the Musketeers, who got all they could handle from Royal last week. Oaks averages 36 points a game, so it should be hard for Moorpark to stop them. 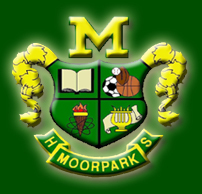 Moorpark only gives up 19 points a game, however, so they may be up to the task. The Musketeers are led by QB Grant Rohach, who has filled his brother’s shoes admirably completing 70 percent of his passes with pinpoint accuracy. RB Tyler Peterson is the team leader, and not just the team leader, but also the school president. The Musketeers will have to rely on his legs and his counterpart Aaron Stanton to keep this a close contest. This game may be close in the first half, but look for Oaks Christian to take over in the second. Moorpark is only 3-3 with two great teams (Thousand Oaks and Oaks Christian) left on the schedule, so it’s imperative for the Musketeers that they win this Friday night. Moorpark is led by QB Rohach, who has completed 70 percent of his passes this season and RB Tyler Peterson who averages 5.7 yards per carry. Royal is also 3-3 and looking to make noise with the huge road upset. Believe it or not, the Highlanders have a real shot at making the playoffs this season. This game would catapult them over the top, but they still have winnable games against Agoura and Newbury Park down the stretch. If you finish 5-5 in the Marmonte League, I see no reason why you shouldn’t make the playoffs and that’s what Royal is gunning for. The Highlanders are led by RB Kyle Gauthier’s 530 yards rushing, while Codey Mann is the defensive leader with 54 tackles. Moorpark wins it.